Some observers say social unrest among young Muslims has been made worse by the re-printing on Wednesday by several Danish newspapers of controversial cartoons depicting the prophet Mohammed- EuroNews. 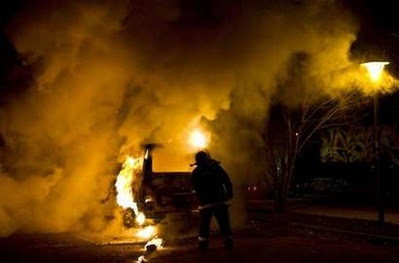 The authorities say they are at a loss explain this year’s rioting that involved immigrant youths torching cars and schools in the major cities. Hundreds of youths have taken to the streets in riots across Denmark this week with racism and police harassment suggested as the cause of the discontent as the youngsters remained silent on the motive. The government stressed Friday it had zero tolerance for the troublemakers, less than a year after violent riots raged for days in Copenhagen over the closure of a youth centre. Small groups of youths have set dozens of cars and dumpsters ablaze. Police officers and fire brigades have been met with stonethrowing and molotov cocktails in five consecutive nights of violence in the capital that have gradually spread to other Danish towns. Some 50 people aged 15 to 25 have been arrested during the past week, charged with arson and violence against police officers. While last year’s riots were caused by youths angry over the closure of the youth centre, this time around authorities were at a loss to explain the violence. “We don’t know exactly what’s behind it,” Copenhagen police spokesman Flemming Steen Munch told AFP. 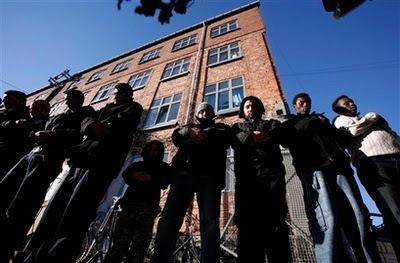 The riots began at the weekend in Copenhagen’s heavily immigrant populated neighbourhoods of Noerrebro and Vesterbro, but have since spread to several other areas, including Denmark’s second biggest city Aarhus and other regions have no significant numbers of immigrants. According to media reports, some of those taking part in the riots were aged 10 to 12 years old, though police said no one that young had been arrested. A local imam urged his flock to quit the car torchings during Friday prayers. 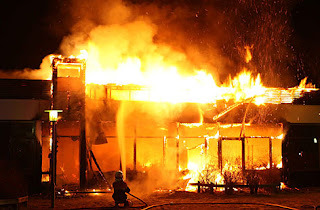 The disenfranchised Muslim youths torched at least one elementary school this week. UPDATE: Danish lawmakers cancelled a trip to Iran today after the regime demanded an apology for the recent postings of the Mohammad cartoons. UPDATE 2: Lawhawk has more on the latest torchings. UPDATE 3: Roger Kimball offers analysis of the Danish dilemma at Pajamas Media.